Baby we were born to ride! C’mon, let’s all be heroes! Help spread the word – especially those of you who love spinning so much. Yeah, you know who you are… the ones rocking spandex and JUST CLIP IN t-shirts! I’ve got your plans for next Friday night. Get down to Santa Monica Pier for Cycle For Heroes – put on by Equinox and The Heroes Project. Cycle for Heroes is a 3-hour rock’n’roll inspired stationary cycling event that takes place annually on the Santa Monica Pier. Join 300+ other riders, military vets, and the best indoor cycling instructors in Southern California for an unforgettable stationary ride. All donations made will go directly to The Heroes Project – an inspiring organization dedicated to improving the care and protection of our veterans. Go! Reserve a bike today at http://CycleforHeroes.org. Not only will you come away with shaking thighs, but you can also count on experiencing a fly-by of 5 war planes from the Tiger Squadron, and the national anthem played via electric guitar by Guns N’ Roses Duff McKagan! It’s true. We were totally born to ride. For those who can swing the membership fee, good news is arriving downtown tomorrow in the form of a 28,000 sq. ft. Equinox fitness club! Finally, the downtown hipsters can work out in style. This will be the company’s 15th Southern California location – located downtown in the Bunker Hill area at Citigroup Center: 444 South Flower Street, at 4th Street. It’s scheduled to open at 4:00pm. It boasts a 2,000 sq ft private terrace, a high-end retail shop, juice bar, and spa with full range of facials, massages and body treatments. If you actually want to work out – hit up a yoga, cycling, Pilates, Barre Burn, METCON3, Shockwave, ViPR or Tabata class. Or you can sweat it with the classics, on your own, in the strength training area, with good ol’ free weights and state of the art cardio machines. For more info, go to http://www.equinox.com/clubs/downtownla or call 213.330.3999. Hey y’all, Father’s Day is this weekend. In case you’ve got the plans but not the gift, here are a few outside-the-tie-box ideas. If you wanna encourage dad to get his workout on, Equinox is opening a brand spanking new 27,000 square foot location right in the heart of The Valley—at Ventura & Balboa. The club isn’t scheduled to officially open ‘til late summer/fall but you can take advantage of some great (or at least better) rates now. 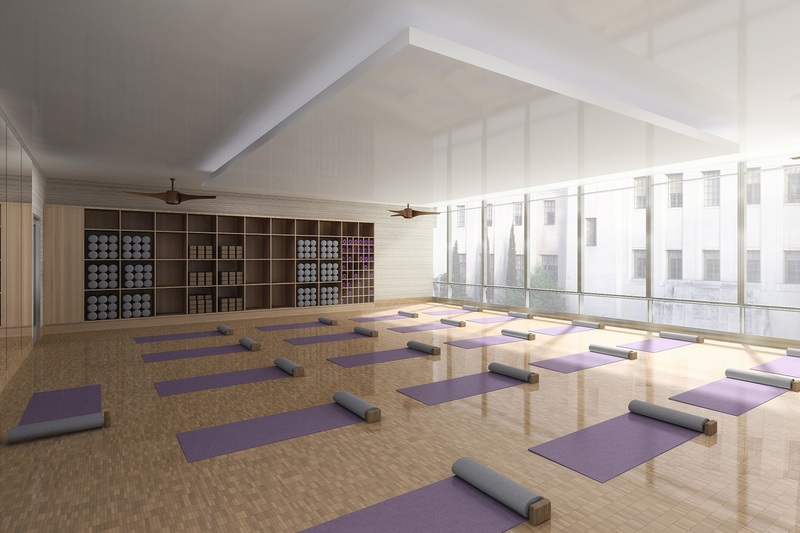 The gym will boast all the usual accoutrements of their other clubs—full spa, cardio machines, free weights galore, yoga, cycling, Pilates, juice bar (woop woop! )—and then some! Or, opt to indulge dad in a massage or facial at their Spa. Check out the Men’s Facial or the Rejuvenating Watermelon Facial – their newest signature facial to even skin tone, reduce inflammation, and revive the complexion. Get info for the new Encino location online or at (818) 922-0799. If Dad is a super sports fan, you’ll definitely find him something at Fanatics.com. It’s one of the world’s largest e-stores for officially licensed sports stuff for pro teams and leagues. It’s not just baseball caps and jerseys either. 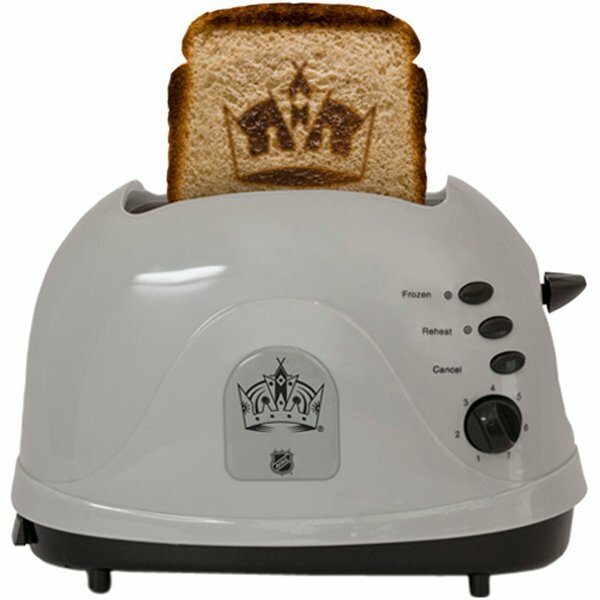 They’ve got hilariously practical gifts like logo-branded toasters. So if your dad’s a Kings fan (whoop! ), he can even represent with his morning toast and coffee! But if Dad’s a Lakers fan, maybe go with something else. He already got toasted this year.